So, I was amazed, if not stunned when I learned that the “something” that absolutely “made” this salad was the bottled dressing. 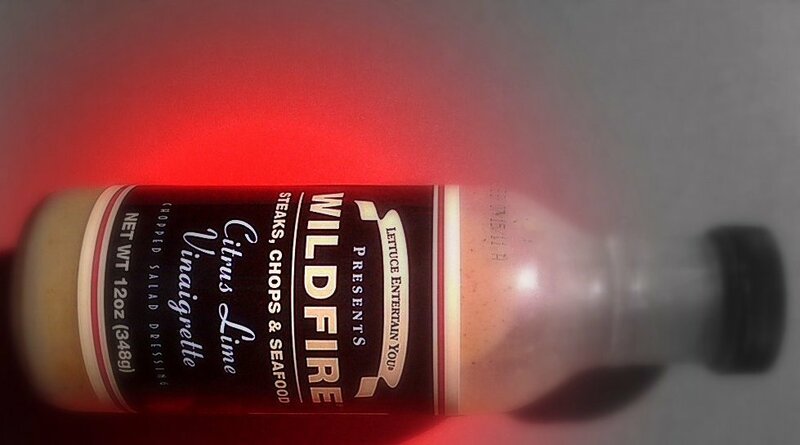 Yes, Virginia, there is a Santa Claus and there is a way to improve on perfection—with a bottle of Wildfire Citrus Lime Vinaigrette. Give this a try soon. This is the best salad I’ve ever had. Begin with a bed of mixed greens, then chop and add the following ingredients to taste. Finish by tossing lightly with Wildfire’s Citrus Lime Vinaigrette and serve immediately. Enjoy! Subscribe to comments with RSS	or TrackBack to 'Chopped Salad with Wildfire Citrus Lime Vinaigrette'. Went to cub and bought the dressing. Tried it, and wished I would have grabbed another! Yum! I am excited to make and try this salad tomorrow night for the little birthday girl’s family birthday party. We’ll be having ham, baby buttered potatoes, this salad, fruit salad, cake and ice cream! Thanks for sharing great recipes with us! Hey Amy! Thanks for the note! Glad you like it! Woooo-hoooo!